The 1st Call for Proposals of the European Commission Urban Innovative Actions Initiative is open until 31 March 2016. 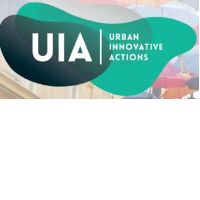 Urban Innovative Actions provides urban areas throughout Europe with resources to test new and unproven solutions to solve their urban challenges. Projects do not require transnational co-operation. ERDF co-financing up to 80% of eligible costs. To learn more about the Urban Innovative Actions, and how to apply for funding, please go to Urban Innovative Actions or go direct to FAQs for an overview.